Most new years, when we resolve to lose weight, be more social, or finally start collecting snow globes... we're not really committing. It just feels good to make new year’s resolutions when the spirit strikes. That’s not how it’s going to be this year, though. 2018 is the year of making resolutions and actually sticking to them. At Storage Direct, all of our resolutions this year are about getting organized. Here are eight new year’s organization resolutions for 2018. These will help you make your home feel more comfortable and your life more put together in the new year. Labels make your life and home a better, happier place. Resolving to sort things out is commendable, but if you stick things in boxes without labeling them, you might forget where your organized things are supposed to go! Trust us on this one - even people with the best memories can forget things when they’re doing a lot at once. Labels help you remember the minutiae so you can focus on the larger job at hand. Making small organizational tasks into routines makes them feel less like roadblocks and more like regular parts of life. These routines can be as simple or involved as you want them to be. You could start by deciding you’re just going make your bed every morning. Work your way up to more ambitious and beneficial routines, or don’t. Good habits lead to a more productive lifestyle, and a more productive lifestyle leads to greater personal satisfaction. 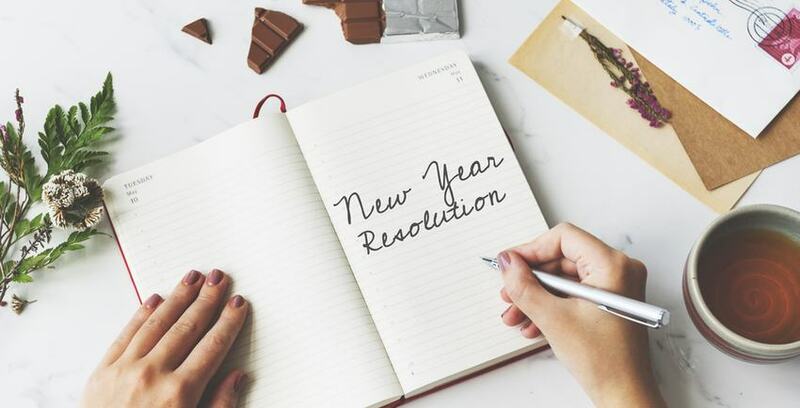 The easiest way to find yourself being intimidated by a new year's resolution is by making one that's too big. Instead of saying "I'm going to perfectly organize my whole home", set a more achievable goal instead. You might start with, "I'm going to finally alphabetically order the cereal in the pantry”, for example. Your goal may sound small, but the positive feeling you’ll get from achieving it will help you continue move onto more. One goal will follow after another, and before you know it you actually will have organized your whole home. Writing things out in a simple calendar can help you stick to your newfound goals. Never buy something new unless you know exactly where it's going to go once it's through your door. If there is no place for something, then maybe you don't actually need it. Professional organizers can be a huge help. If you have the disposable income for one, they can make all the difference in your home. Sometimes organization isn’t about letting go of things and. Instead, it can about admitting to yourself that you just need some extra space. Renting a storage unit is a great solution for someone who isn’t ready to get rid of things but does need more room in their home. Making more room in your home will help you organize and appreciate the things you use regularly. Hey, good on you! Go treat yourself for reading this blog, because it means you’re dedicated to being a better, more organized person in 2018. You should be proud of yourself! Happy new year to you and yours from the entire team at Storage Direct. If you ever need help making the most of your own sense of organization in 2018, we’re always happy to help.